Looking for Land (caretaking / sharing / low rent) to Develop our Permaculture Dreams! Nature-loving, permaculture-inspired, home-educating, woodworking, creative vegan family (two adults, 11-year-old daughter, 2 well-behaved dogs) seeking a way to live in a more natural environment where we can develop our permaculture dreams. Our plans include yurt-living amidst nature and the creation of a space where we can invite others to enjoy simple-living/yoga/vegan/writing/art and craft retreats. If you have land that you need caretakers for or want to share, where we could bring our dreams to life, do let us know!!! Would love to connect with anyone who has any ideas... our thought behind this ad is that if you can't find what you're looking for, perhaps you need to 'put it out there' so someone else can find you! We are looking for people that help us to let our dream comes true. We are two, a woman, 28 years old and a man, 40 years old, we live with many animals, we are vegan, so we love and respect them so much! We love permaculture and we made sinergic garden all the time. We have not child, but we want so much to realize in our place a green school, a place where kids can learn in the nature, from their parents and from us and from all the peole that have something beautiful to teach. welcome, I'm Claudio and i write from Italy too, near Bari. 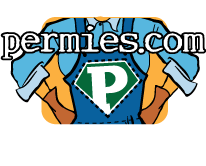 I do permaculture and sinergic agricolture. Burra Maluca wrote: That is seriously impressive! Fortunately I do not have these problems, except with the foxes. They are very clever! Do you have problems with boars? Have you truffles in your land? like you, I'm always looking for plants and trees. We currently have these types of fruit trees: olive and almond trees, apricots, plums, cherries, peaches, mulberry, strawberry, jujube, walnuts, hazelnuts, figs, lemons, oranges, mandarins, apples, elderberries, carob, pink pepper and many of acacia trees, maritime pine and leyland. Vanda, the "goat mum", has given birth for the first time this year and so i decided to not milk to avoid stress. But in future we'd like. We don't have bees yet, but if I learn how to handle them, with the acacia trees i think it would be a good idea. It was wonderful discover this forum. And it's great to know that in the world there are many people who decide to take their own life to make it a rich treasure of happiness. 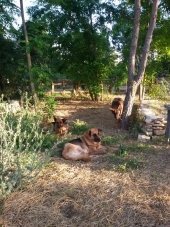 We are a couple of south Italy who loves nature and animals, both vegetarians, and we live on a small farm that is spread over 2 hectares of land surrounded by nature, mostly planted with olive trees and almond trees. Since last year we made a synergistic garden (self-taught) and we are trying to realize a small foodforest (always self-taught) and alternative cultivation techniques (such as tomatoes in bales of hay and aquaponics system). The idea is obviously to achieve self-sufficiency, especially being away from the hustle and the daily grind, but it seems very difficult and complex doing ourselves, especially considering that we live with so many dogs, four goats, two sheep, 1 horse, 6 ducks, 13 chickens and two cats which implies a high volume of expenses to bear. We would like to confront, by Skype, here on the forum or even live hosting for short periods, loyal and sincere people, preferably couples with whom to have an exchange of experiences and ideas and sustainable farming. All animals are of course welcome. Thank you and sorry for the grammar mistakes.